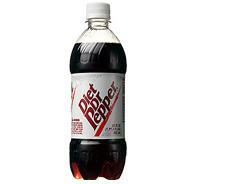 My favorite soda is Diet Dr Pepper. It's the only diet soda that I've had that actually tastes like the non-diet version. Dr Pepper was first served on December 1, 1885. That was one year prior to the introduction of Coca Cola. Dr Pepper went national at the 1904 Louisiana Purchase Exposition. Contrary to popular belief, prunes are not one of the ingredients of Dr Pepper. The first part of the name is spelled without a period. 1920s–1940s: "Drink a Bite to Eat at 10, 2, and 4 o'clock." 1945: "Dr. Pepper has 23 flavors"
1950s: "The Friendly Pepper Upper." 1960s: "America's Most Misunderstood Soft Drink." 1970s: "The Most Original Soft Drink Ever." 1977–1983: "I'm a Pepper, He's a Pepper, We're a Pepper. ", "Be a Pepper. ", "Wouldn't you like to Be a Pepper too?" c. 1984 "Out of the Ordinary. Like You." 1984–1997: "Hold Out For the Out of the Ordinary." 1991: "Just what the Doctor ordered." 1997: "Now's the Time. This is the Place. Dr Pepper Is The Taste." 2000: "Dr Pepper, It Makes the World Taste Better." 2000–Present: "Just What The Dr Ordered." c. 2001 "Dr Pepper, so misunderstood"
2005–Present: "One Taste & You Get It." 2006: "Dr Pepper, makes the world go round." Rover's heat shield and metorite.